Home/Church Service/Guest Minster at Harmony Grove Spiritualist Assn. 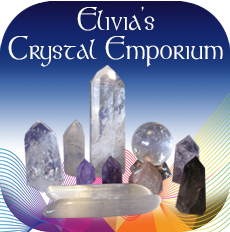 Healing Service at Harmony Grove Spiritualist Association is at 10:30 with inspired music by Elivia on her singing crystal bowls. All are welcome to attend. 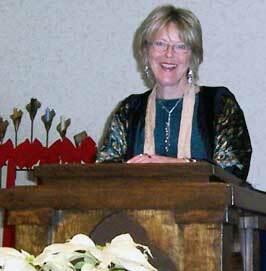 Lecture Service at Harmony Grove Spiritualist Association is a 11:00 AM, with Elivia as the Guest Minister. All Spiritualist church services provide a segment where there are Messages of Greeting and love given from the Spirit Realm. These provide evidence that communication with the dead is a so-called fact, as evidenced with confirmation from the receivers. Not everyone in attendance will receive a message, but often the messages are uplifting for all. Fellowship Hall will be open afterward for light refreshments, so join us! Following the Harmony Grove Spiritualist Association service at 12:30, Elivia will host a Message Circle in the Healing Temple. Clairvoyant from birth, Rev. Elivia Melodey developed her innate ability to read energy dowsing as a child. She studied art at the Dutch Royal Academy and holds a Masters in Fine Art. She was ordained in 1985 by Nancy Tappe at Kairos Institute and was sanctioned as a Spiritualist minister at Harmony Grove in 2001. She served 4 terms on the Harmony Grove Board of Directors and was a founding member of the Educational Program. Rev. Elivia holds numerous Masters level certifications for an array of Energy Healing Practices, and is a Board certified Past Life Regression and Hypnotherapist. As a conscious and deep trance medium, she has the ability to communicate with those who have crossed over as well as with many other realms and dimensions. Rev. 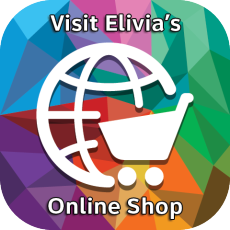 Elivia is an accomplished inspirational speaker and has been a keynote & workshop presenter for many Spiritually based National Conferences. Over the last 30 years she has held numerous on-going classes, workshops and retreats on Spiritual development as well as working with thousands of private clients.